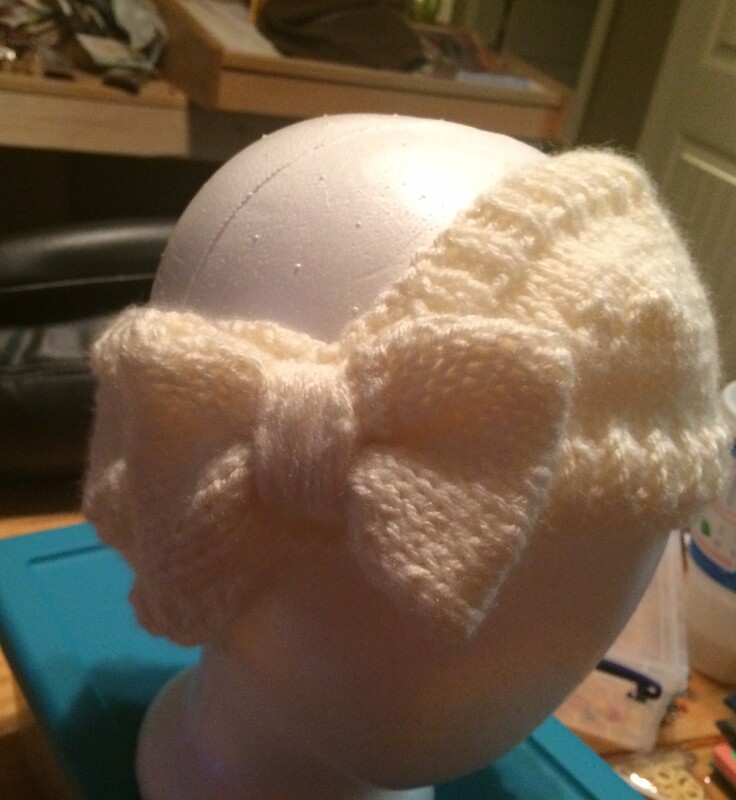 Found this pattern on www.ravelry.com for a cute Bow Headband, perfect for the cold winters in the mid-west. 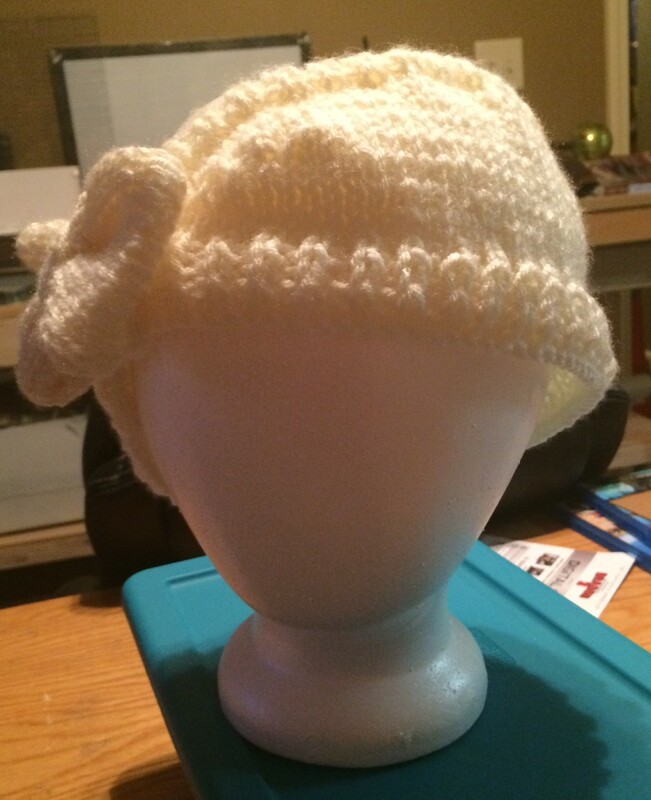 I used size 8 circular needles from www.knitpicks.com and I Love This Yarn from Hobby Lobby in an off white. It turned out super cute! !